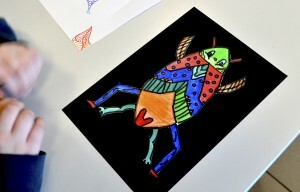 First we drew HALF insect on the LEFT side of the sheet. 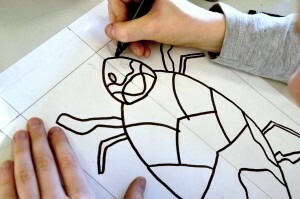 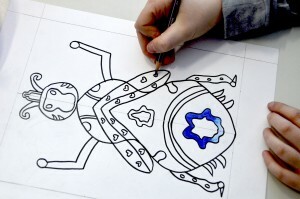 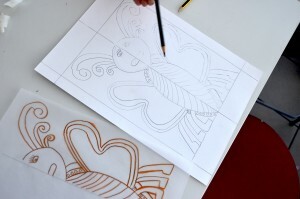 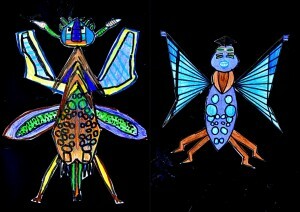 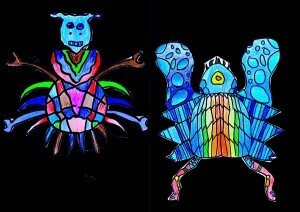 To draw the other half insect we used a sheet of the tracing paper, and we have traced our drawing. 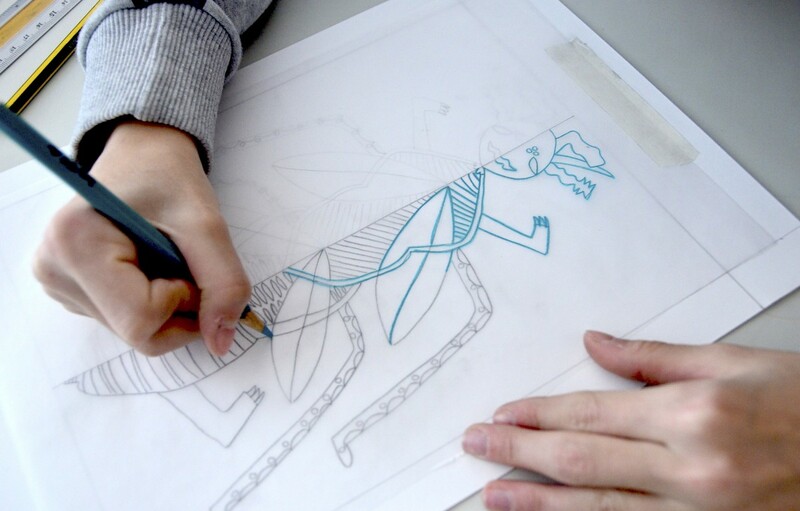 After we flipped the tracing paper on the RIGHT side of the drawing. 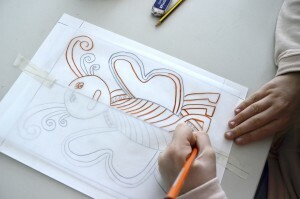 Subsequently we retraced the design on the back with a colored pencil, so the graphite was imprinted on the white sheet. 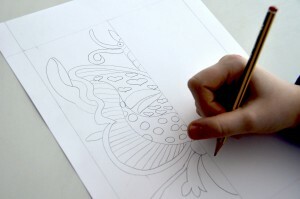 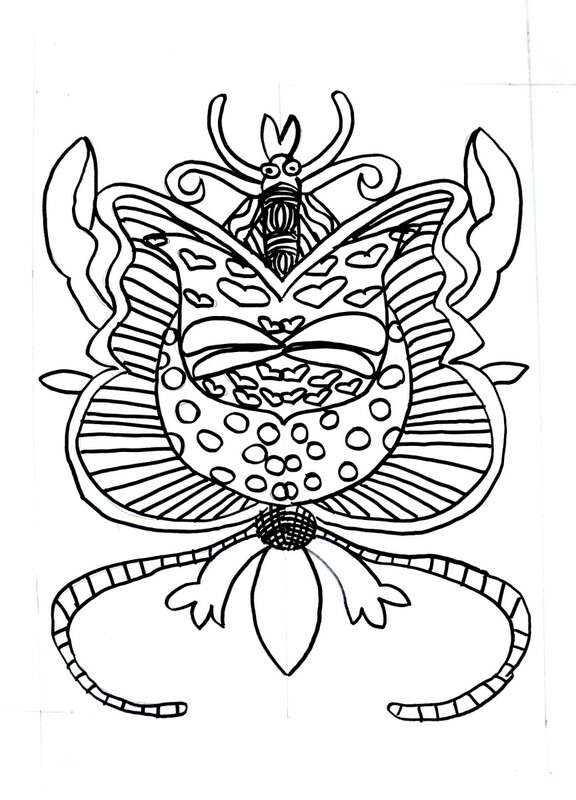 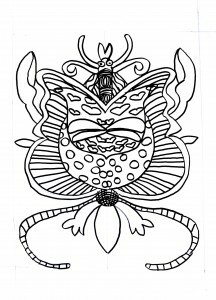 A similar exercise was done for previous work on symmetry, like the capitals in “free style” and the drawing in radial symmetry. 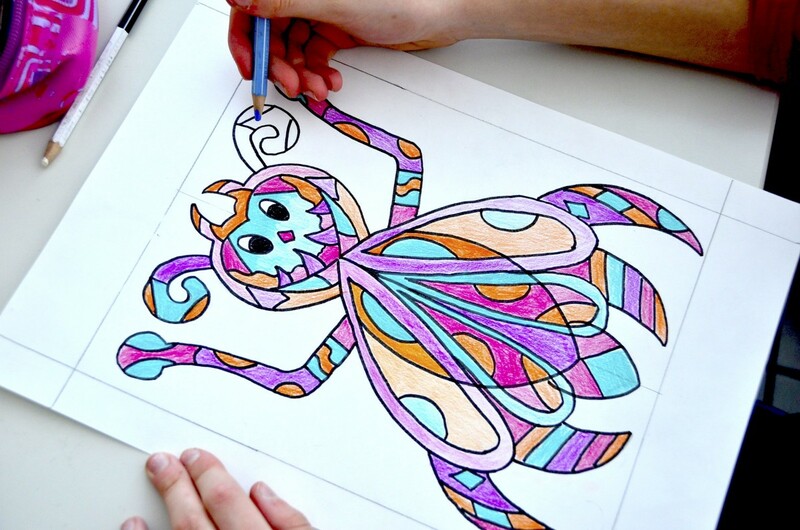 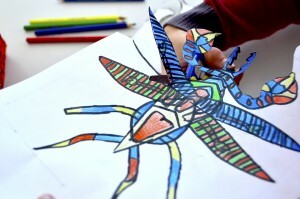 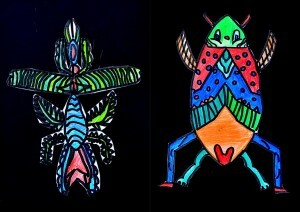 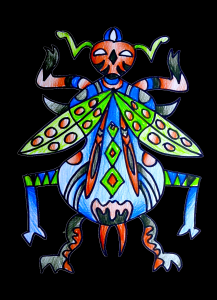 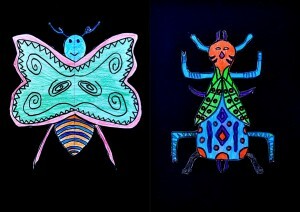 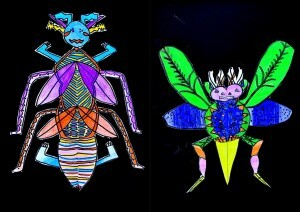 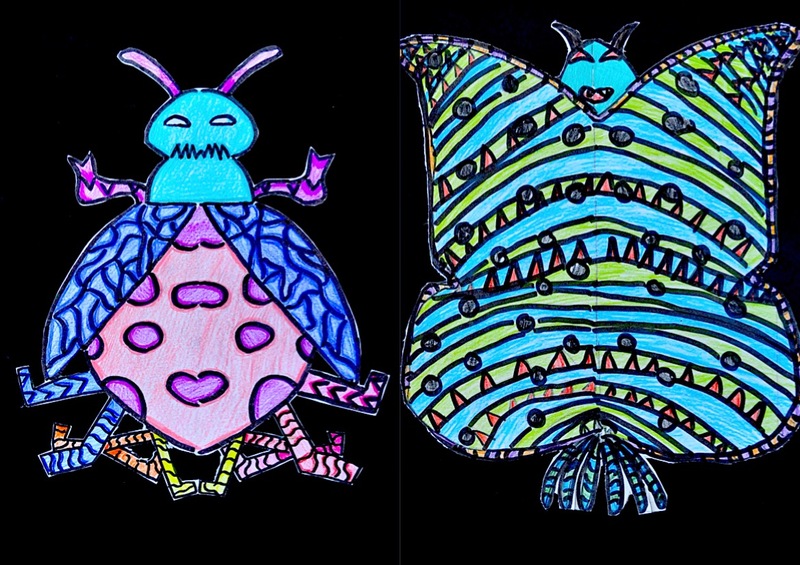 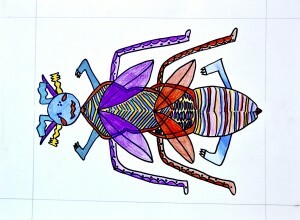 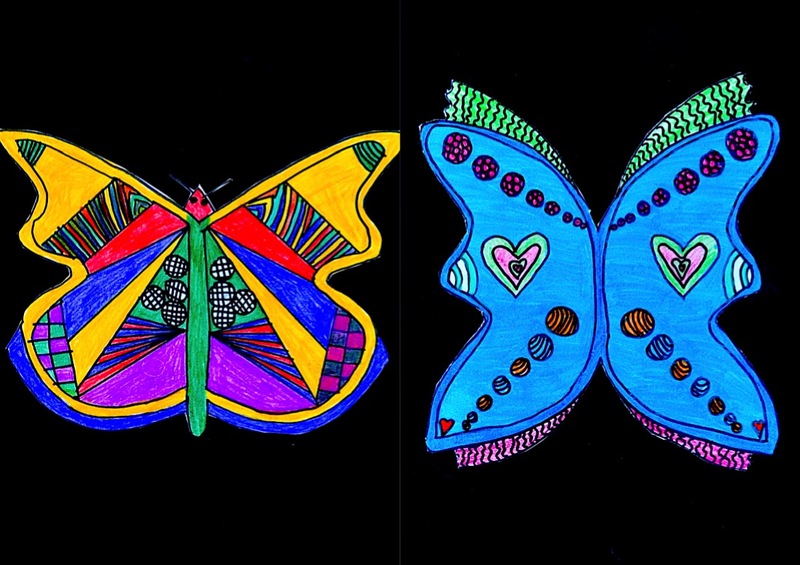 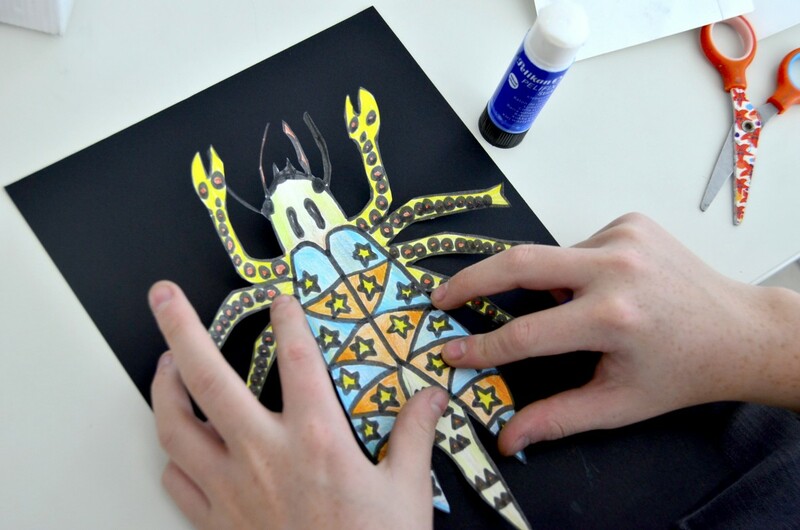 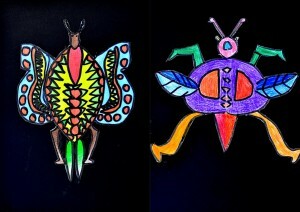 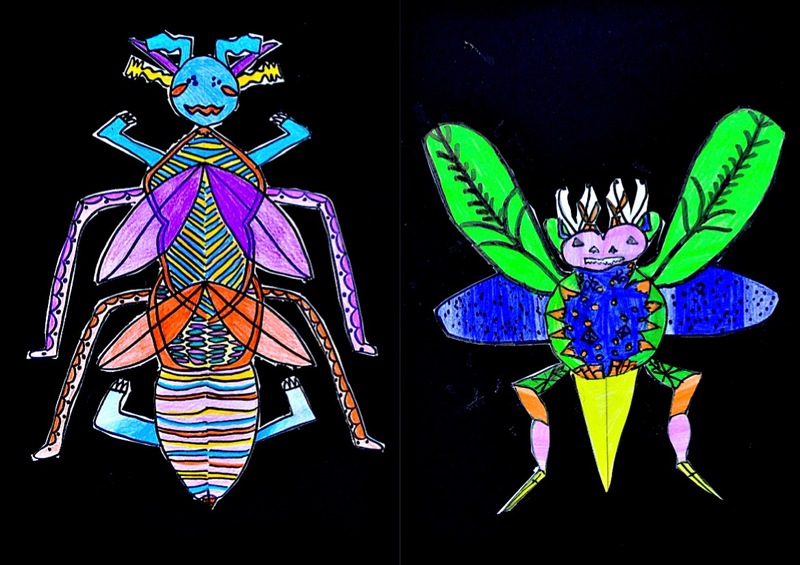 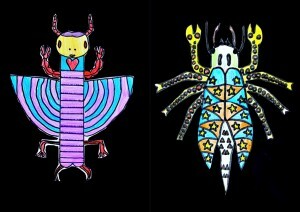 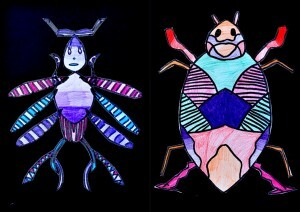 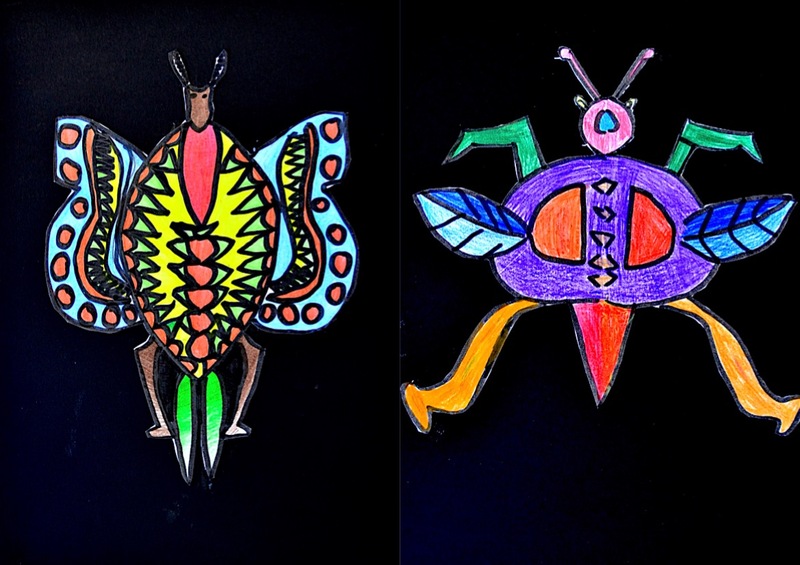 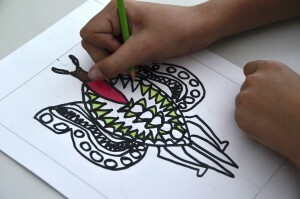 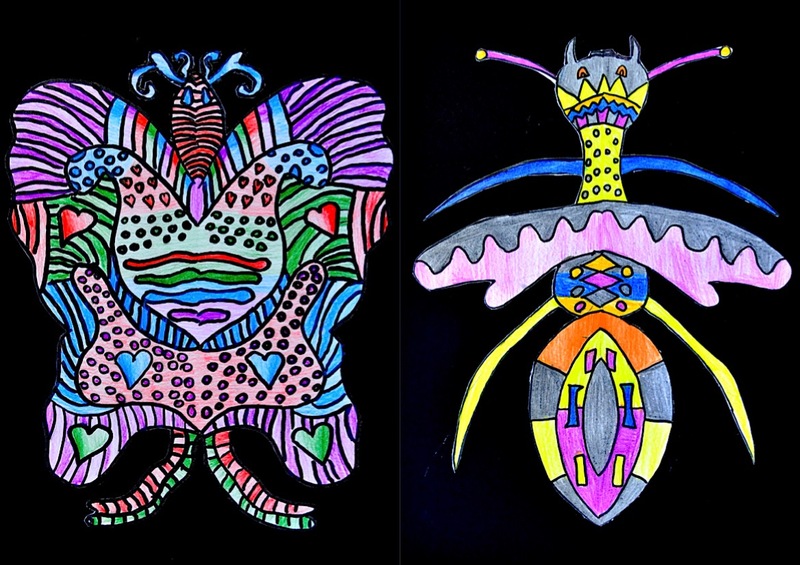 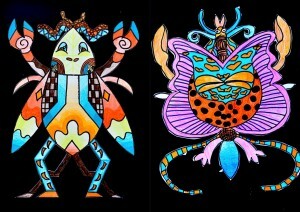 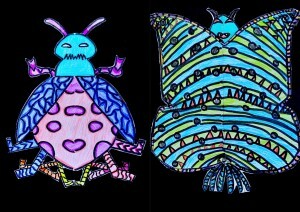 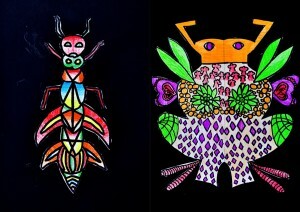 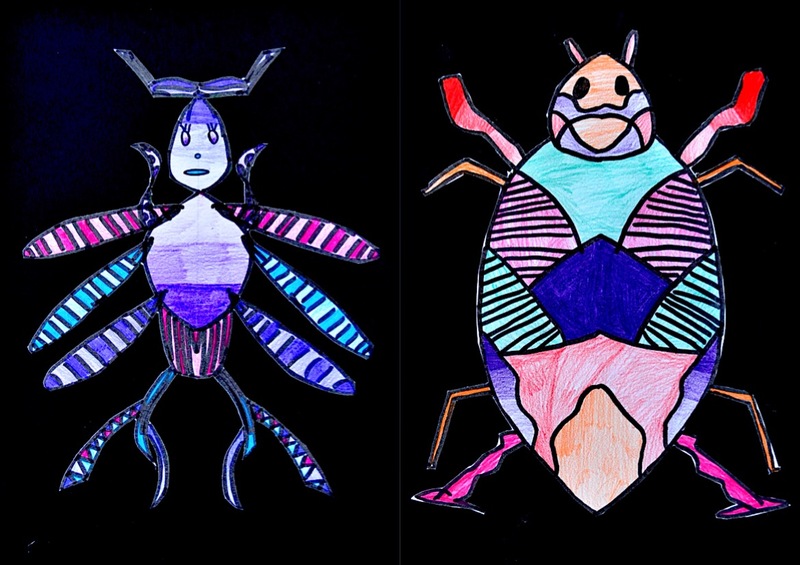 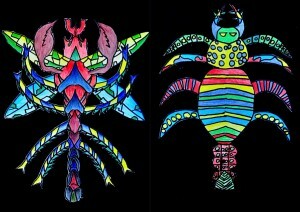 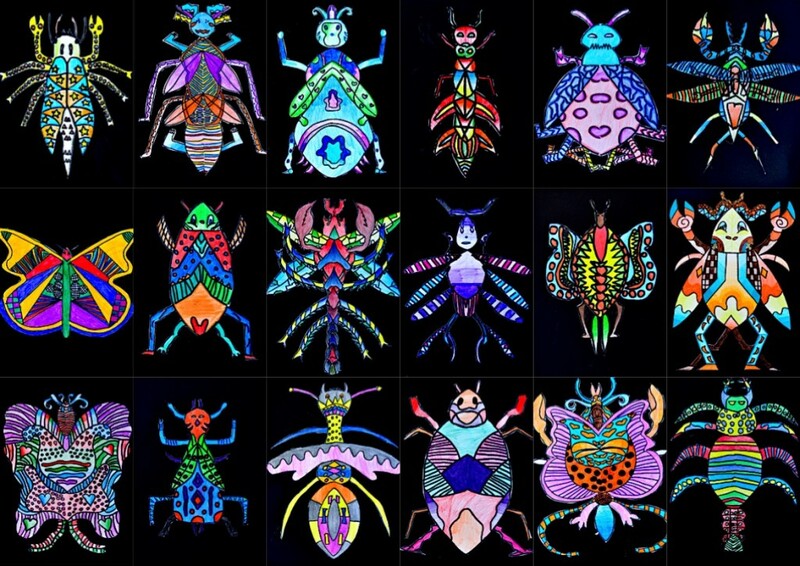 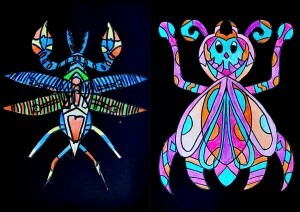 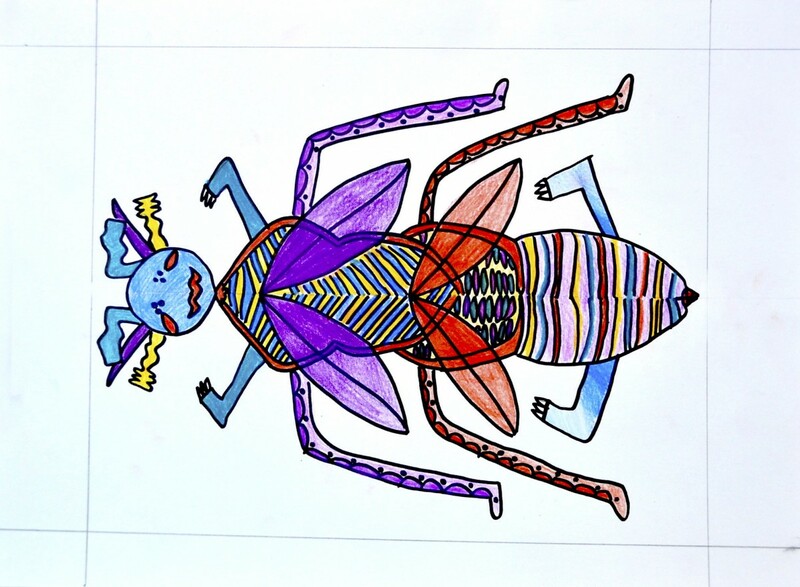 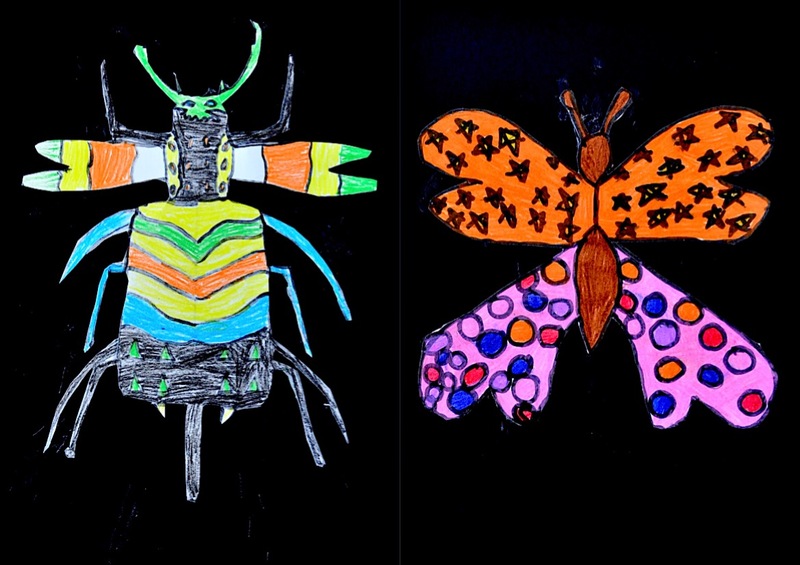 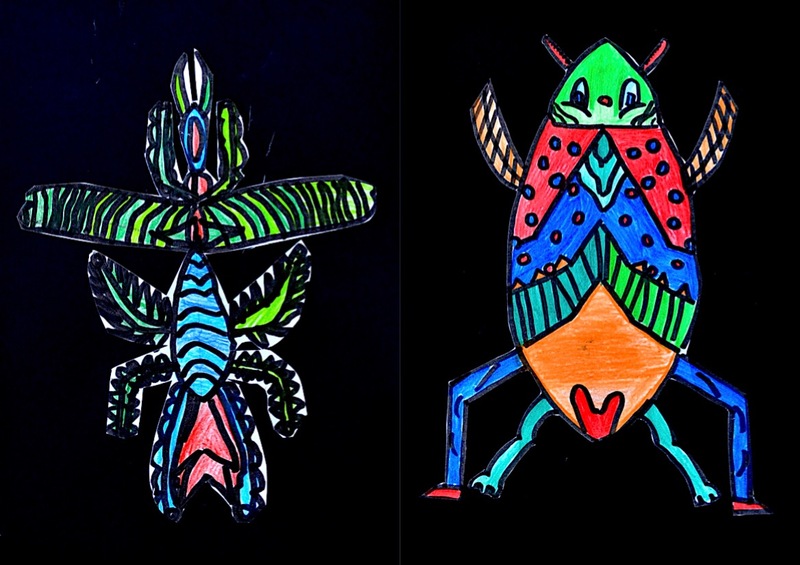 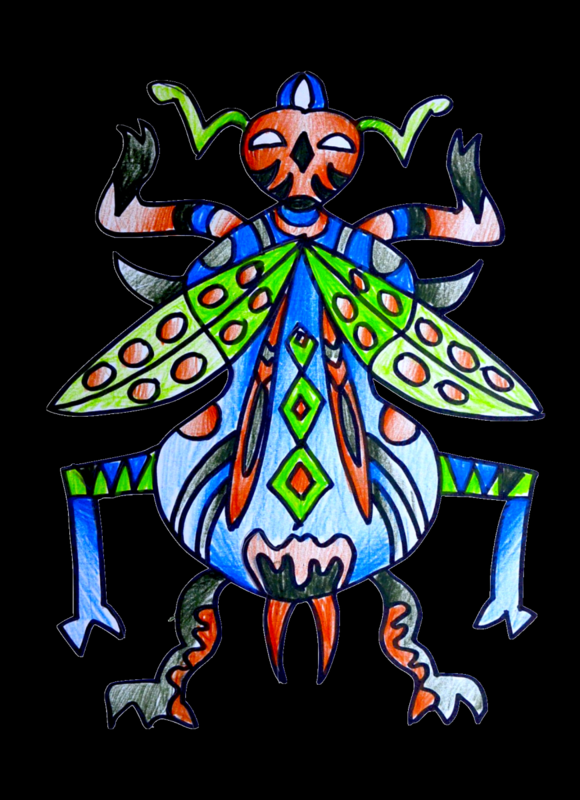 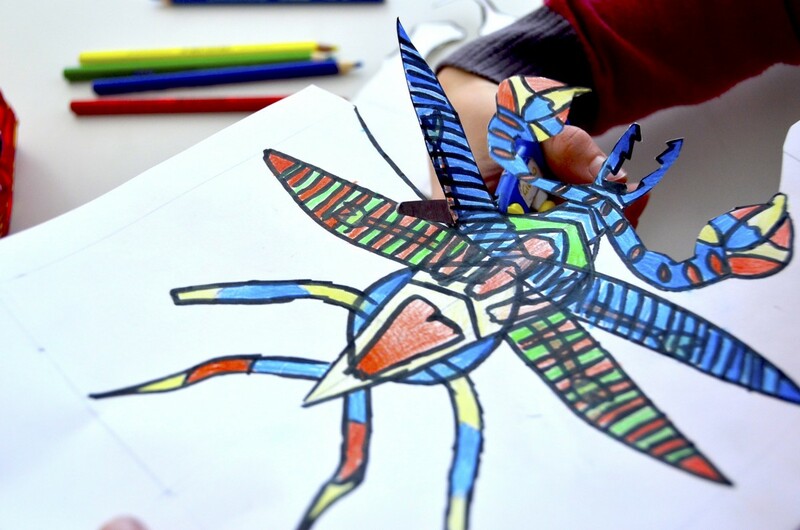 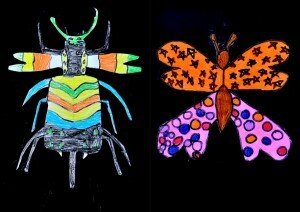 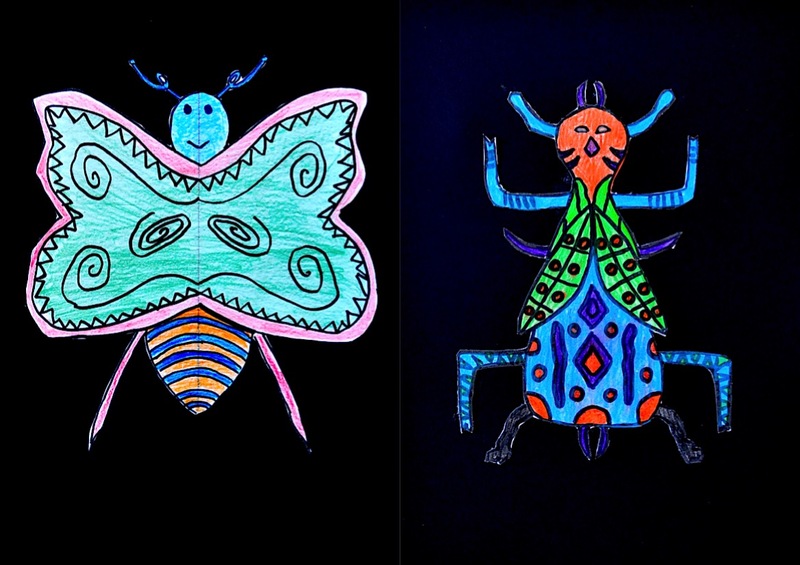 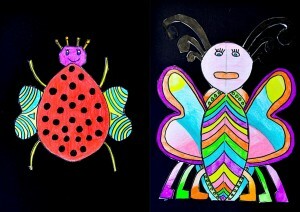 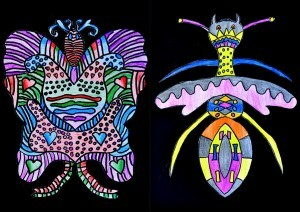 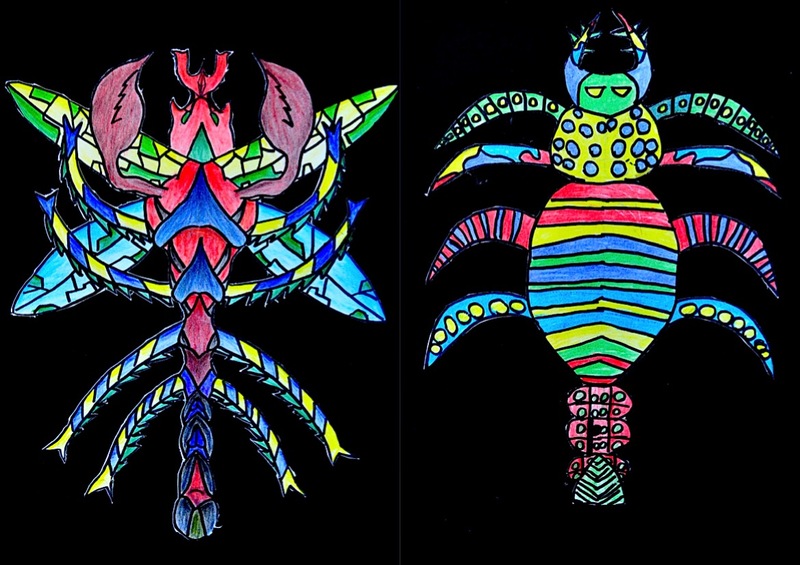 subsequently, the insect has been drawn with a black marker and colored with colored pencils, choosing a range of 4 / 5 colors. 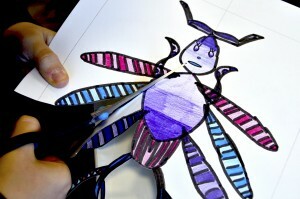 Eventually the fantastic insect was cut out, and was pasted on a black card. Here you can watch the video-tutorial created by Chad Brown. In his video this great art teacher and friend shows how to do the drawing step by step. 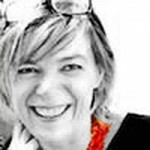 This website is Italian. 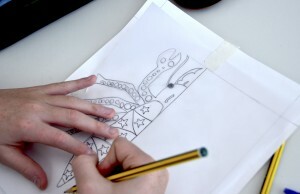 The name is Italian. Hi, I love this idea and can’t wait to try it out in my art club tomorrow afternoon!